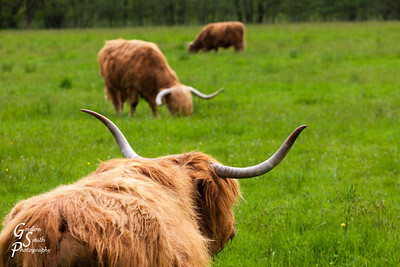 Scotland, United Kingdom: a separate land but also familiar. 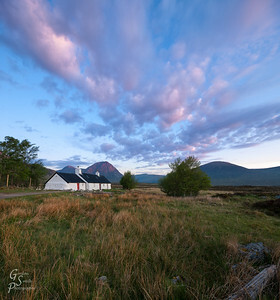 This rugged gallery showcases Glencoe, Loch Linnie, Loch Ness, the Hermitage and Edinburgh. 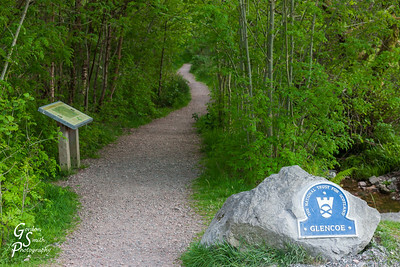 Glencoe Trail into the green unknown. 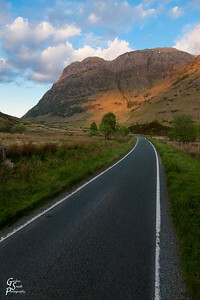 Glencoe Road driving into the mountains at sunset. What a beautiful road to travel! 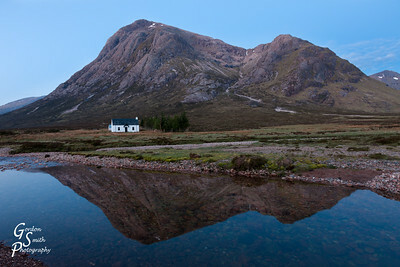 Mountain, Cottage, Reflection: 3 elements combining in this cold photograph taken early dawn in Scotland. 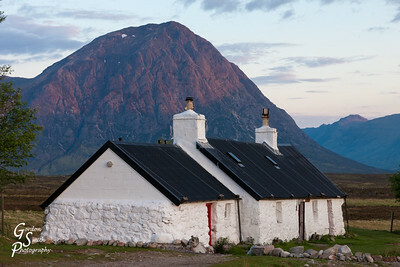 Black Rock Cottage and Buachaille Etive Mor taken with a telephoto lens at sunrise. 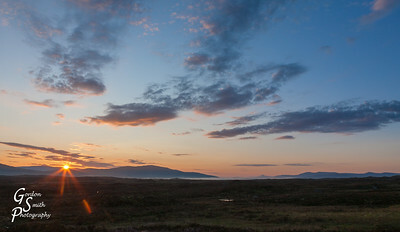 The massive rugged mountain glows in this purple morning light. The cottage is so lovely. 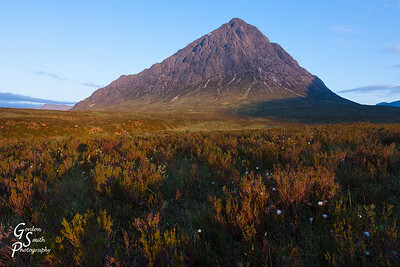 Buachaille Etive Mor and White Flowers: tiny white flowers pop up here and there in the vast empty lands spread out below the rocky rugged massive mountain. 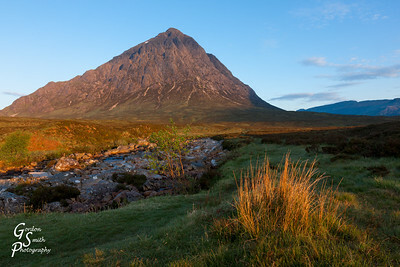 Buachaille Etive Mor and Riverbed photographed at sunrise. A tree and clump of reeds catch the lovely orange sunlight. 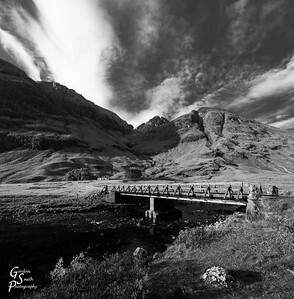 Tiny Cabin, Great Scotland in Black and White: a different version of this great location. Kilchurn castle and Lake on a lovely blue day. 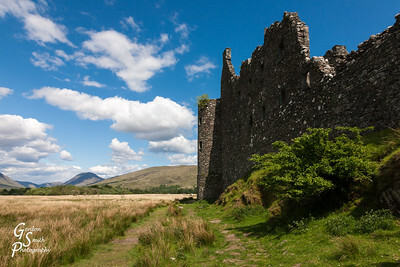 Kilchurn castle walls stretch high and sometimes break before touching the sky. 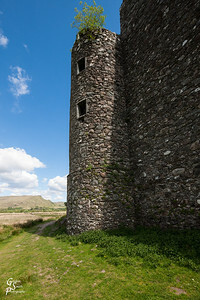 Kilchurn Tower at the Northwest corner of the castle. 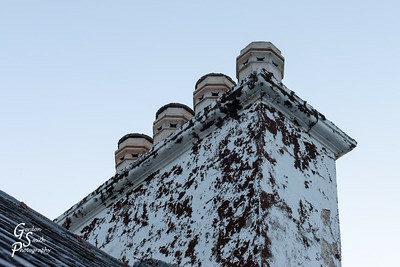 A tree grows from the tower wall. 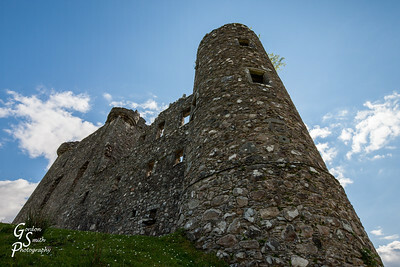 Kilchurn castle wide angle shot taken from a low perspective. 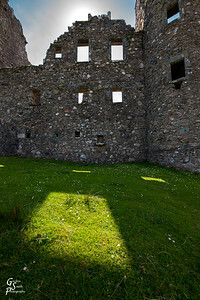 Kilchurn Castle Windows and Shadow. A rectangular window of light comes down on the grass of this ruined fortress. 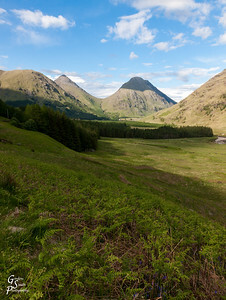 Skyfall Mountains and Valley in the glacial wonderland of Scotland. 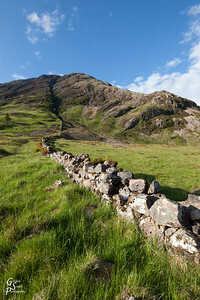 Mountain Wall extends from the valley to the peak. 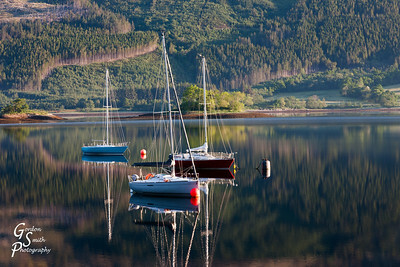 Three Boats on Loch Levan : Sailboats at anchor on a calm lake. Each boat has a wonderful reflection in the still water. 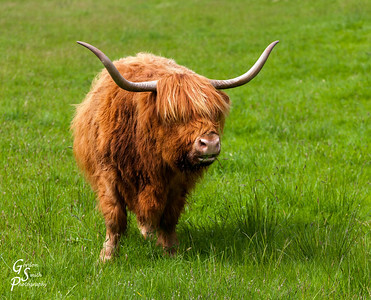 Highland Cow with long red-orange hair covering its' eyes. They are so cute. 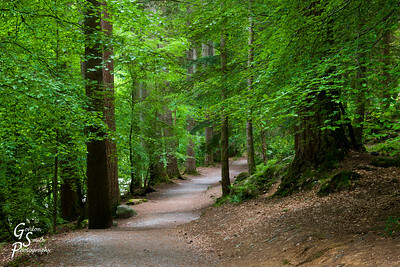 Hermitage Woods Trail is enchanting, mystical and inviting. 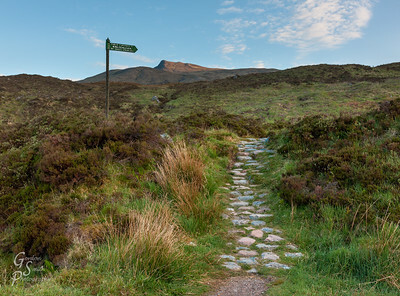 I loved wandering on this easy and delightful trail. The tall trees are gorgeous! Archibald Campbell Marquess of Argyll: This reads "beheaded near this cathedral AD 1661, Leader in council and in field for the reformed religion". This is a beautiful tomb in St. Giles Kirk in Edinburgh. 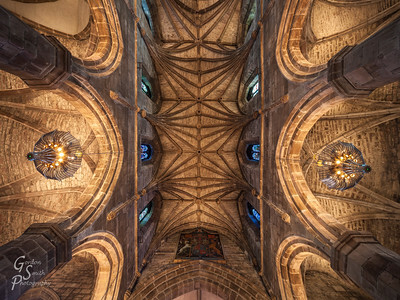 Saint Giles Kirk Ceiling: This is my favorite cathedral ceiling photograph. The brown stone and blue stained glass windows create an electric light inside the place of worship. 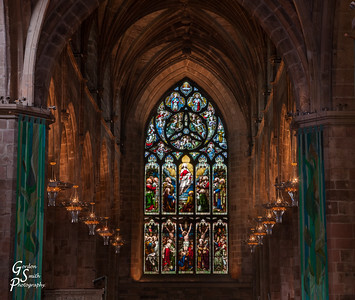 Saint Giles Kirk Stained Glass Window showing Christ ascending to heaven as part of its' story of Christ's life. 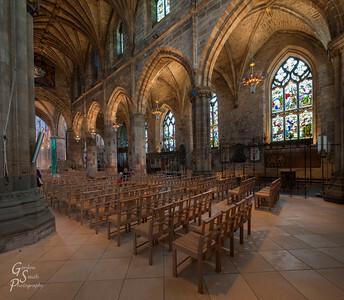 Saint Giles Kirk is Empty on this day of my visit and photography. The silence and peace here is wonderful. And it contrasts so well with the lively atmosphere on the Royal Mile of Edinburgh. 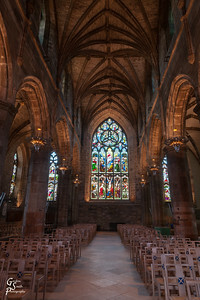 Saint Giles Kirk Interior at an oblique angle. 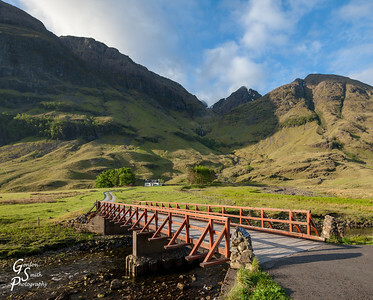 Glencoe Bridge and Mountains in the morning light with glorious skies. 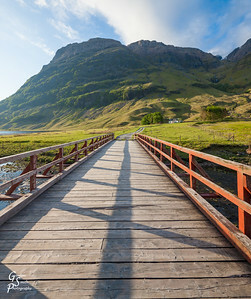 Glencoe Crossing on a wooden bridge in Scotland. 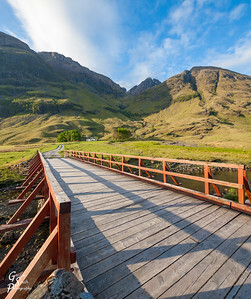 Bridge and House in Glencoe, Scotland. The house sits under towering mountains and tiered waterfalls. Skyfall Panorama taken on a sunny May day. 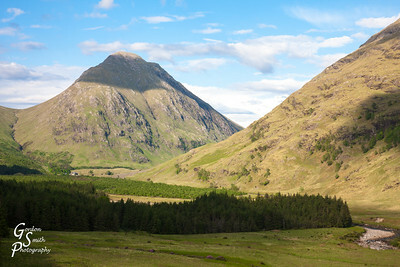 The glacial valley is green and beautiful. 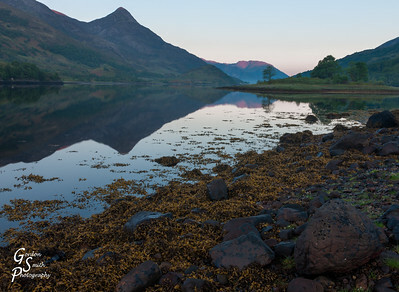 Loch Levan Reflection: Loch Levan stretches from Kinlochleven to Glencoe and then further west and north. 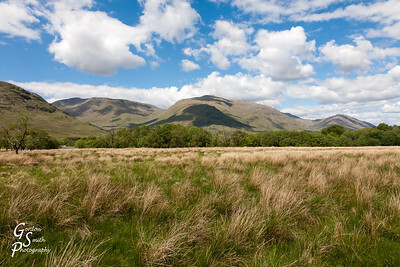 The body of water is surrounded by high mountains and munros. 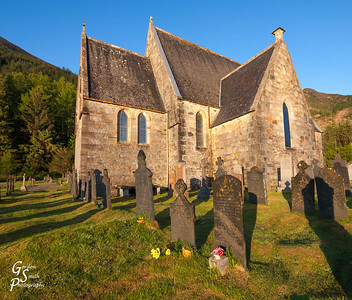 Glencoe Church and Cemetery in morning light. The tombstones leave long shadows. 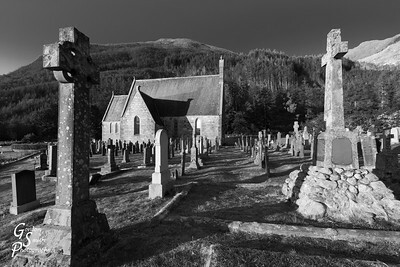 Scotland Cemetery near Glencoe. 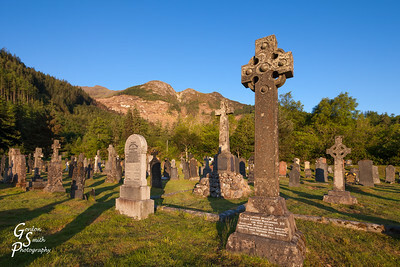 Gaelic crosses and tombstones.